Ever since the dawn of civilization India has been a major focus of artistic creativity, and down through the ages we have produced some of the greatest works of art known to man. 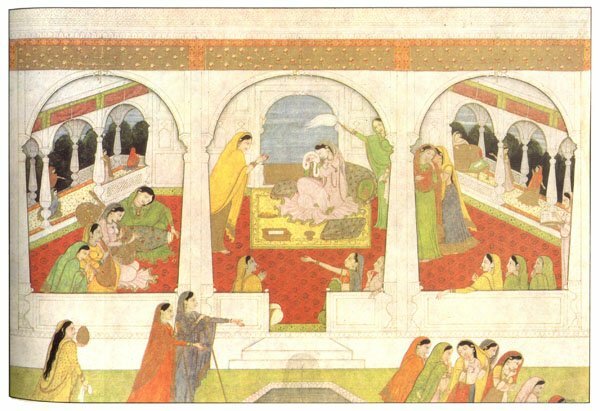 A special feature has been that each region of India at one time or the other, and in one or other of the plastic or performing arts, has made contributions that have enriched the total fabric of Indian art. This fascinating, even bewildering, diversity has been a major feature throughout Indian history, and has greatly enriched the contribution that India has made to world culture. 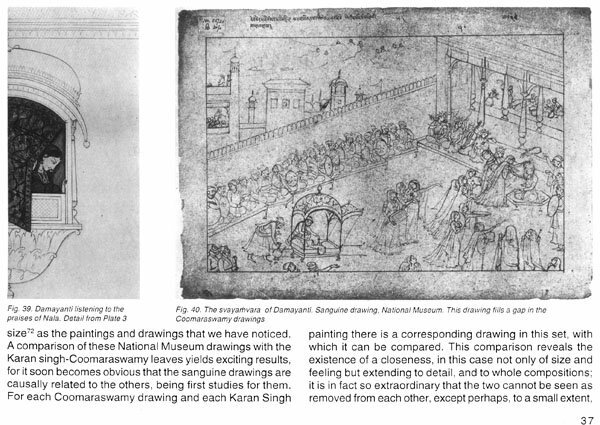 Not only has our artistic expression varied from period to period along the time scale, but within the same historical period different regions have excelled in one or other form of artistic expression. The total impact of the entire process puts India in the first rank of nations who have evoked and concretized the innate human urge for artistic expression in a sustained manner. 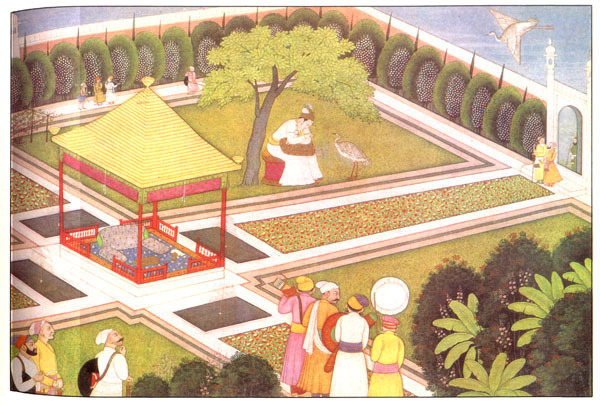 The paintings reproduced in this beautiful volume were created in the second half of the 18th century in the Dogra- Pahari region of North India, mainly in what is now Himachal Pradesh. 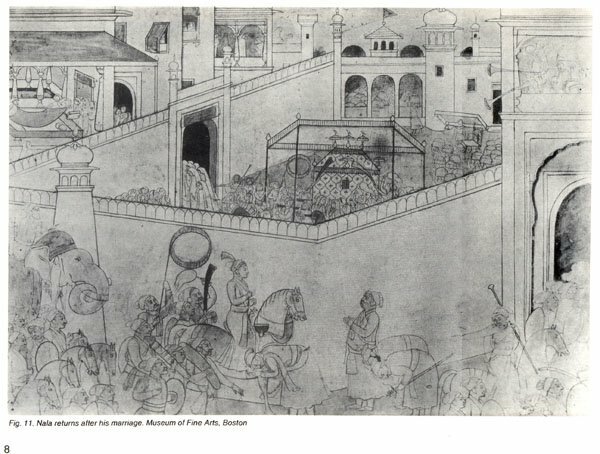 Apart from their martial qualities and rich folklore, the several schools of Pahari art have been a major contribution of the Dogra-Pahari people to the grand mosaic of Indian culture. Professor B.N. 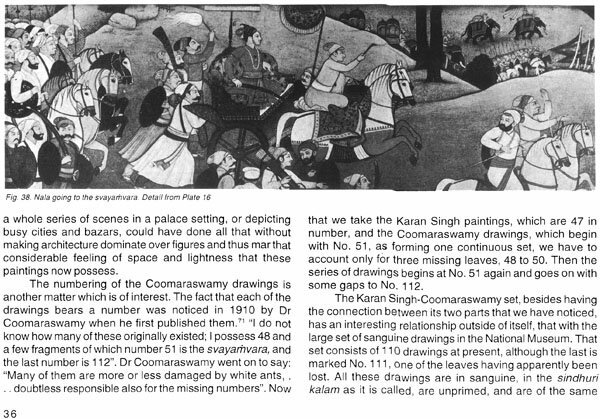 Goswamy has with great competence traced the historical and geographical background in which these paintings were produced. I would only add that they combine the beauty and freshness of the mountains with the rare delicacy and grace of the people living in the area. The quest for beauty and perfection has been one of the earliest signs of civilized man. When, after millions of years of evolution, man was able finally to overcome the basic problem of survival, some mysterious factor within impelled him towards the quest for perfection. Very often this took the form of religious and mystical practices, and indeed a large proportion of art has traditionally been associated in one way or the other with religion. This has been particularly true of India where great religions—Hinduism, Buddhism, Jainism and Islam—have all contributed towards artistic achievement. 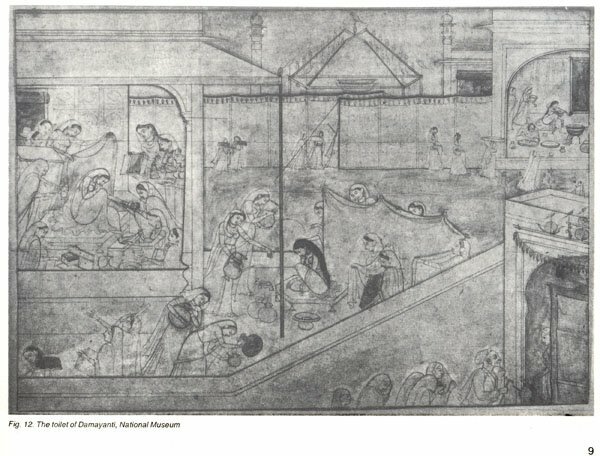 However, although the basic motivation may be religious, the artist in India has often treated many entirely secular themes within his broader context. 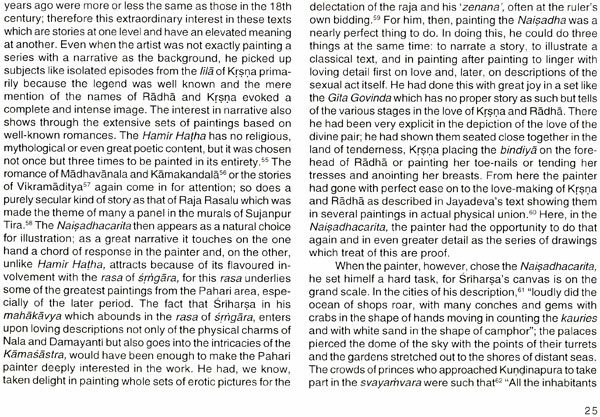 The present set of paintings are a remarkable example of the way in which a theme from a great religious classic the Mahabharata as treated in Sriharsa’s Naisadhacarita has been represented in a largely secular setting. 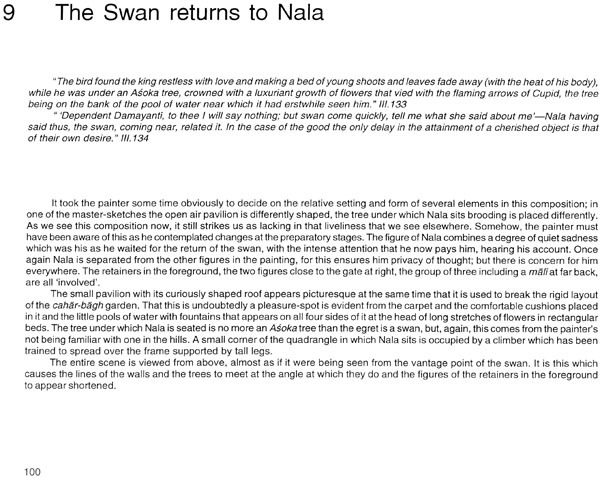 Nala and Damayanti in these paintings emerge as archetypal lovers in a story full of romance and intrigue, mystery and magic. 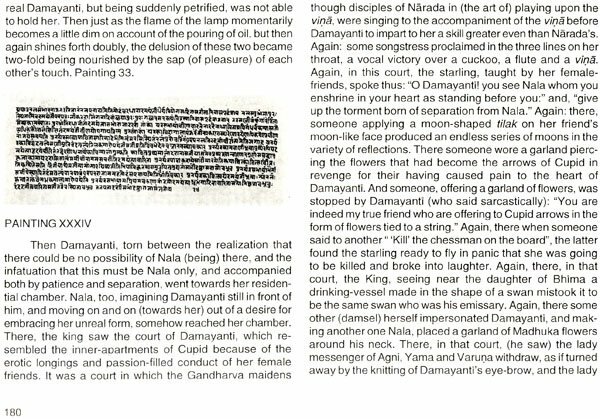 In the hands of these anonymous artists of two centuries ago the personages and events of the Nala—Damayanti story take on a new significance. 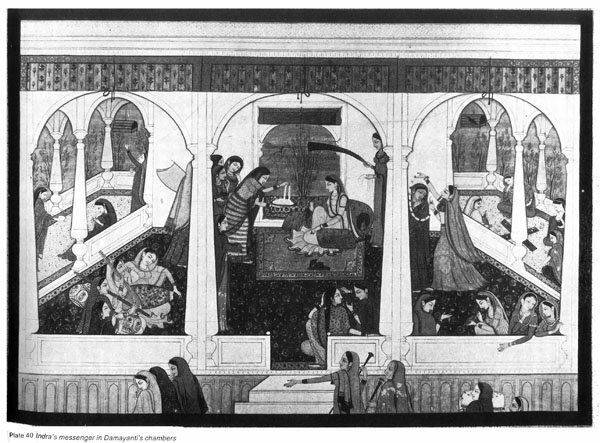 Here we see not only the lovers themselves but a large number of individual people portrayed with great feeling, and one wonders whether the artists took for their models actual people living at the time in the courts of the many hill kingdoms. There are also a number of other creatures—elephants and peacocks, deer and domesticated birds—portrayed with an intensity which is quite startling. 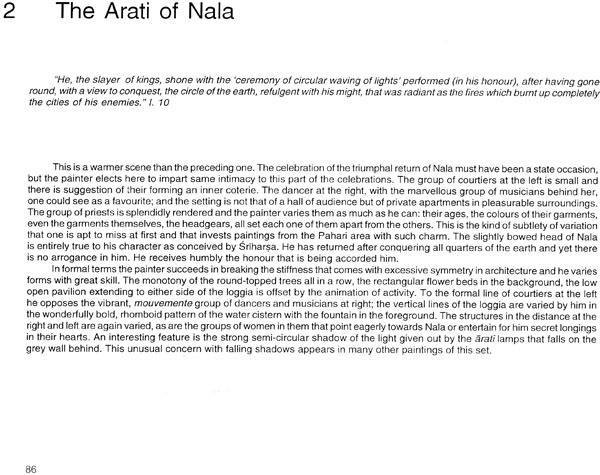 The whole effect is to transport one into a fascinating miniature world with its own aura and ethos. 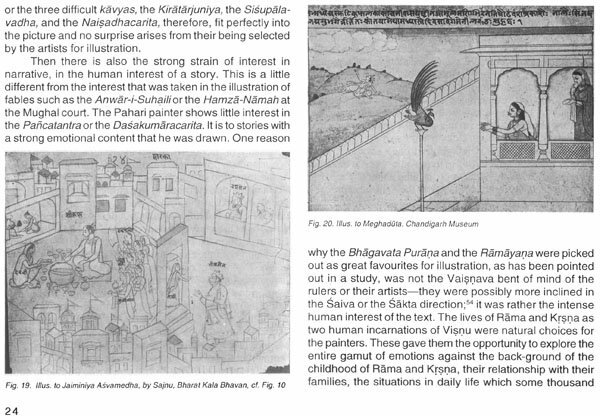 The story of how these paintings came into my possession has its own interest. 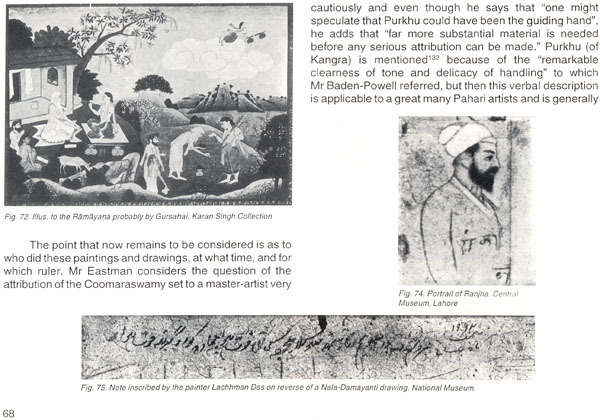 Back in the mid—fifties, when I was Sadr-i-Riyasat of Jammu & Kashmir, I received a message from Pandit Kunjlal Vaid who lived in Basohli, itself the seat of a former hill kingdom and of one of the major schools of Pahari painting which bears its name. The message said that the Pandit was anxious to see me, but could not undertake the journey to Jammu due to his advanced age and failing health. 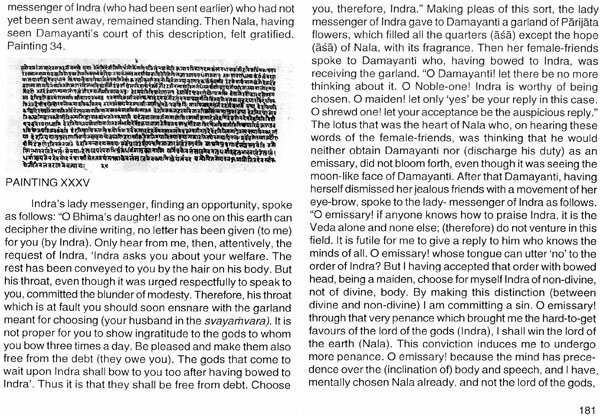 He, therefore, requested me to visit Basohli as early as possible in order to meet him. I was at Kashmir when I got the message, and the subsequent winter when the Government had moved down to Jammu I decided to visit Basohli. I had been there only once earlier as a boy with my father, and had no clear recollection of the place. I arranged the visit and while I was in the Dak Bungalow Pandit Kunjlal called upon me. Although his health was advanced—he must have been over 80 at the time-his eyes were keen and his speech clear. He met me with great affection and, to my surprise, placed before me a parcel wrapped in a large square handkerchief. He undid the cloth and, one by one, showed me the exquisite paintings with loving care. He said that many foreigners had come to him wanting to buy the collection but he had not agreed to part with it. Now that he was old and had no children, he would like to present the paintings to me. 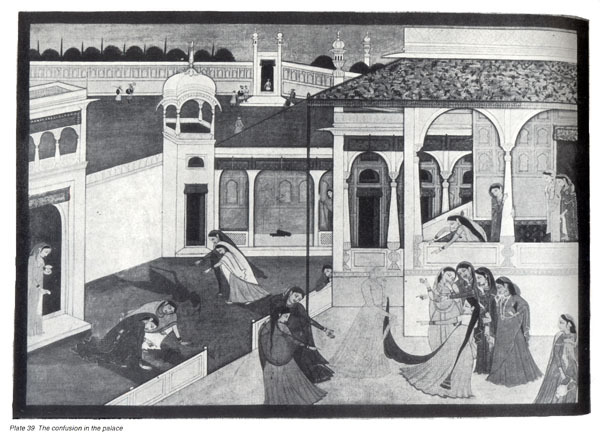 As he put it in Dogri, "these paintings came from the Royal Palace, and it is there that I wish them to return". I was overwhelmed by his gesture, and deeply moved by the sentiments behind it. I remonstrated with him and said that I could not possibly accept a gift of this nature unless he was prepared to take an adequate price in return. At that his eyes filled with tears. He said that for many generations his family had been deriving sustenance from mine, and that he would under no circumstances accept any payment or remuneration. This put me in somewhat of a quandary. 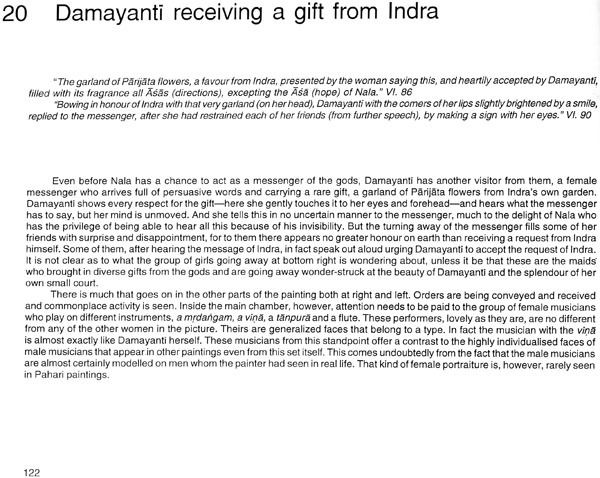 On the one hand I was reluctant to accept the paintings as a present, but on the other I realized that these were a valuable national heritage and that if I did not take them they may well be lost as soon as the Pandit passed away. I decided to accept them. He was overjoyed, asked me to keep them carefully and look at them on hot summer days when they would "cool the heart". 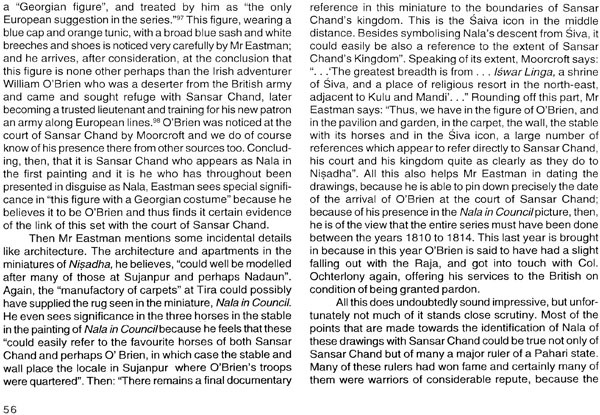 Later that year I happened to go South and purchased a sandalwood and ivory walking stick which I sent to the Pandit. It was the only present that he ever accepted from me; a few months later he passed away. 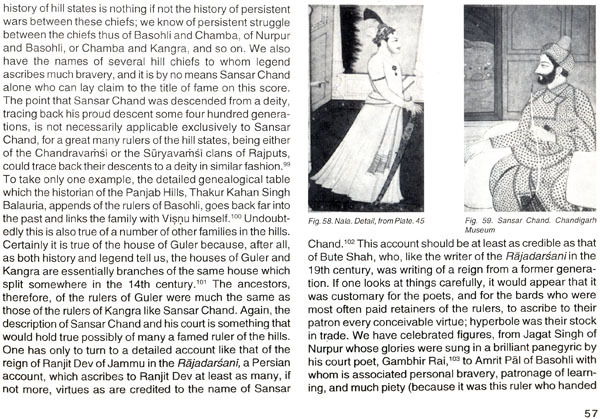 The 47 paintings of the Nala—Damayanti series which are illustrated in this volume brought out by the National Museum form an important part of the Amar Mahal Museum and Library that my wife and I have set up in Jammu. This institution also houses a family portrait gallery, a gallery of modern art, a memorabilia section on my mother, and my own library that I have built up over the last 20 years including a few books that I was able to salvage from those belonging to my father and grandfather. It is my considered view that such collections should not in this day and age remain simply confined to a few individuals. They are a part of our national heritage, and should be made available to a wider public. It is with this in mind that we decided to convert the picturesque building known as Amar Mahal in Jammu, with its magnificent location over-looking the Tawi River and the great triple—peaked mountain of Vaishno Devi, into an institution which would be of value not only to Jammu but to the entire nation. This will be open to scholars and to the general public, including the large number of tourists who visit Jammu or pass through it to the valley. In due course it is our hope that this Institution, sponsored by the Hari-Tara Charitable Trust that we have created in memory of my parents, will grow in scope and cover a number of scholarly and research activities in the academic and cultural fields. 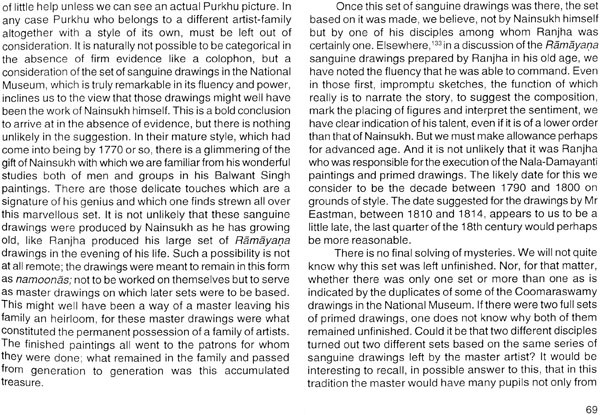 The very first hall displays the Nala-Damayanti series, and I like to feel that the words and the vision of Pandit Kunjlal Vaid have thus been fulfilled. 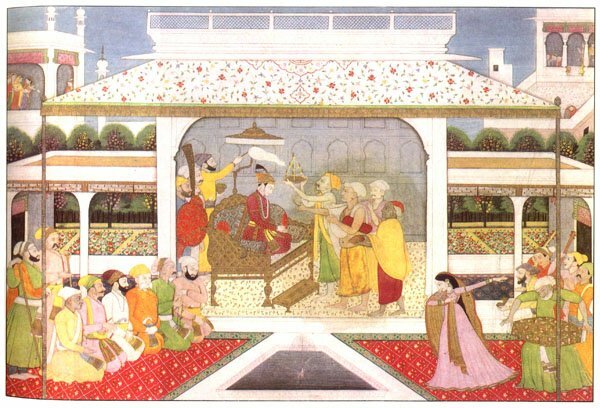 The paintings have come back into the Palace, and the Palace in turn has gone back to the people.